With a school break approaching, the evenings may still be dark and the mornings frosty, it’s great for children to get out and about and we have listed some great spring half term activity ideas. Now that the first signs of spring are approaching it is a great opportunity to blow away the winter cobwebs with some fresh air. The UK coast is a great and cheap place to get outside and enjoy a full day of activities to suit the whole family, most people have access to some of the world’s best coast and beaches, so wrap up warm and get out there. To us, at Coast Radar, it is one of the best times of the year to combine sand and sea with coastal walks and some history. 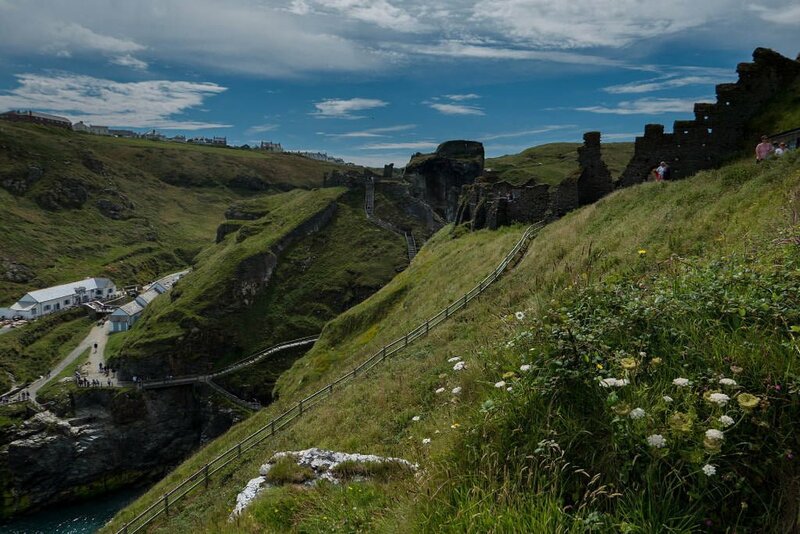 All coastal regions of the UK have managed coast paths, for the few, it is an opportunity for some long distance hikes but for the majority, coast paths allow access to our great and diverse UK coast with its varied beaches, cliff-tops and headlands. Get out and about this half term and explore miles of fantastic walking and cycling routes. Take in the sights and sounds of our coastline and small fishing villages with lots to delight nature lovers, in particular, the beautiful spring flowers and active cliff birds. Why not take your camera and try and record your Top Coastal Views? We would love to see some of your results on our facebook page, it’s always great to hear stories of your adventures. The three pictures on this page are my own pictures of some of my favourite Cornwall locations, Tintagel Castle, St Michaels Mount and Newtrain Bay. When out and about make sure you take your phone with you as our coast guide allows you to find the closest beach to me with our jump to my location button and our beach information pages. 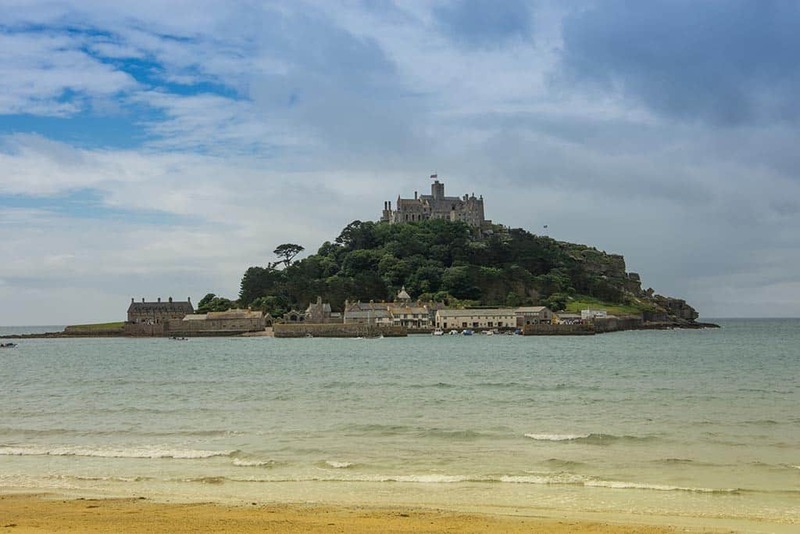 There are some wonderful castles and museums dotted around the British coastline enabling you to uncover the past, from prehistoric discoveries to amazing archaeological finds, Saxon burials to medieval coastal defences, and our industrial heritage. Although a number of these will charge an entrance fee you can always find some free alternatives, Victorian piers, lighthouses and many RNLI stations are often open to visitors. A visit to any coast would not be complete without a bucket and spade trip to the seaside. It may be too cold to sit on a towel, the brave may opt for a bit of surfing, but for the most, it is a great time to scavenge hunt, beachcombing or a spot of rock pooling. 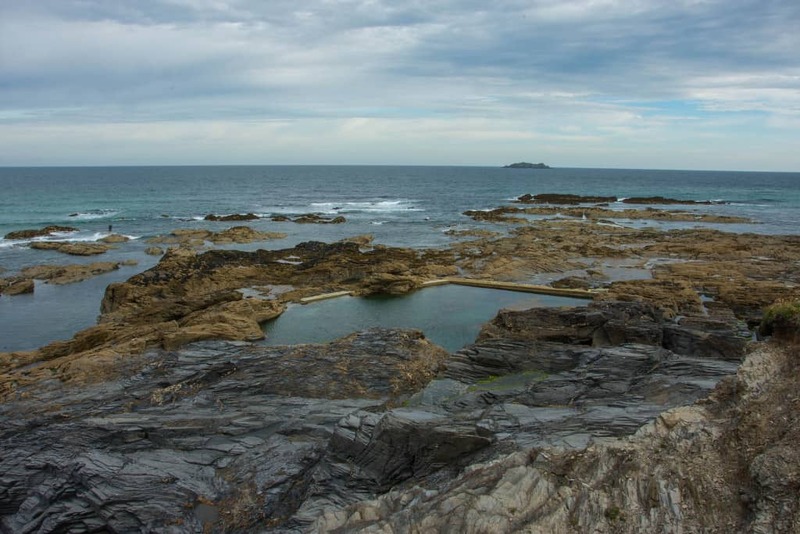 Beaches are precious habitats that support all sorts of wildlife from birds and fish to seaweeds and many little creatures hiding in rock pools exposed at low tide. Many beach creatures are tiny and so tricky to spot, but we can often find lots of wildlife, especially in rock pools and along the tide line. Find your own piece of prehistoric history with a beachcombing and fossil hunting tour, with high numbers of treasures scattered along the high tide shoreline you’ll be able to take home your own little bit of history. We have some obvious fossil locations like the Jurassic Coast, Dorset and the North Yorkshire coast but you don’t need to just look for fossils as scavenging the high water mark can find some spectacular shells, pebbles and smooth driftwood. Make sure when collecting shells that they no longer have creatures living inside them and likewise washed up wood can often provide protection to animals. One of our favourite rock pooling beaches is Newtrain Bay (pictured above) near Padstow in Cornwall, you can even take a swim in the rock pool. What you find can keep the children entertained for hours, when you get back home why not get creative with your finds and make shell necklaces, beach mobiles, wood art or paint the pebbles. Hope this gives you some inspiration and spring half term activity ideas that get you all out and about our great UK coastline.